Our mission at The Home Vintner is to teach you how to make the best micro brewery style beer at home. The Barons beer instructions included with your kit will walk you through the beer making process. I will provide you with a few tips to make you successful your first time. Always take your time, if you try to shorten the process you will end with a poorer tasting beer along with lower alcohol levels. Who would want that? Longer at every stage is better! 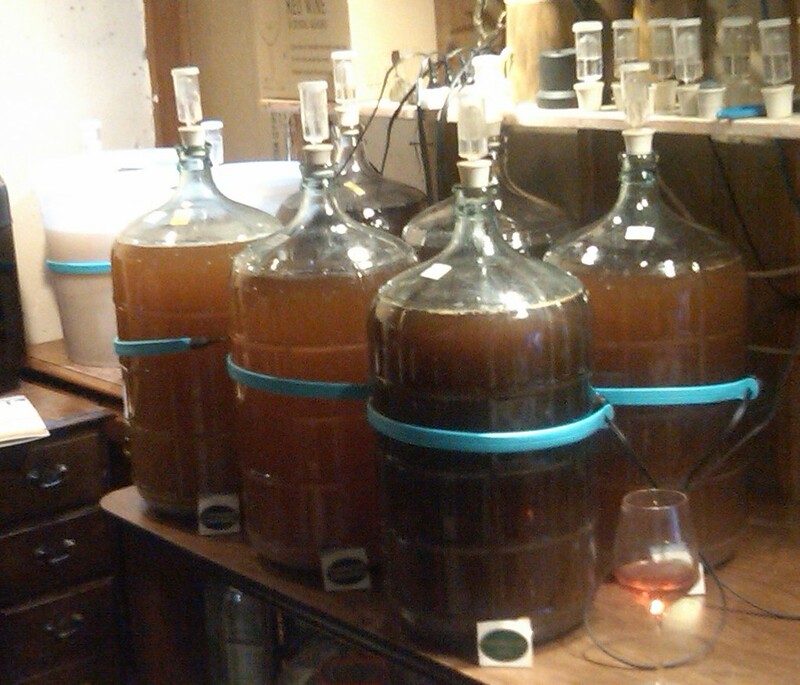 Most of our beer makers have at least 6 carboys on the go at any given time. Note: even when you achieve the correct Specific Gravity (SG) there is more to learn, read more below! Beer likes to be warm, use a heat belt to speed up the process (you will notice the belts in these pictures, both on the primaries and carboys). At 23 C / 73 F the beer will be ready to rack out of the primary usually on the 3rd day. At 20 C / 68 F it will take almost a week before the specific gravity (SG) is low enough. At cooler temperatures it can take up to 6 or 7 weeks for the SG to reach its lowest level. 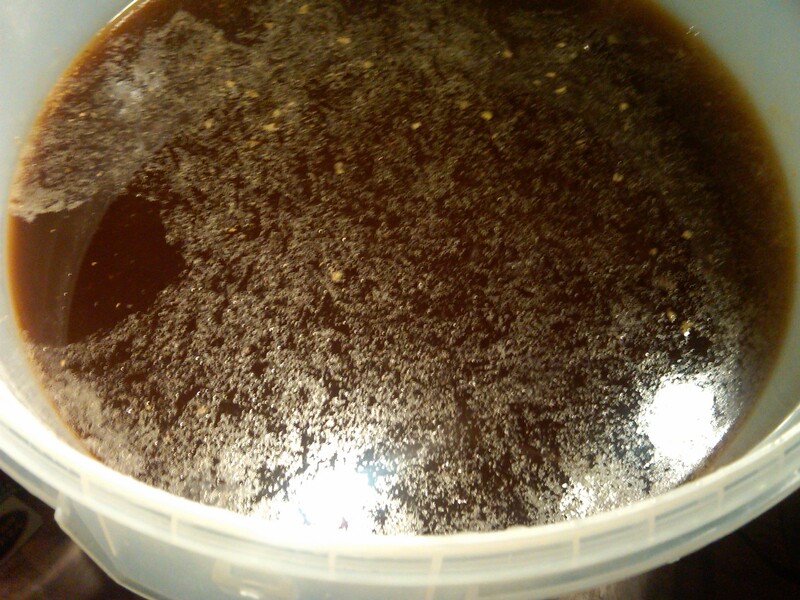 At cooler temperatures the yeast can stall at 3 weeks and then kick in again at 4 weeks. When people call saying that the SG won't drop we suspect right away that the beer isn't warm enough. The answer is an electric heat belt which goes on the primary and then on an Italian carboy (if you have a Mexican or North American carboy, do not use the heat belt on them). The heat belt maintains the temperature at exactly 23 C. Heat belts are sold in all our stores. Always go by Specific Gravity rather than days.. 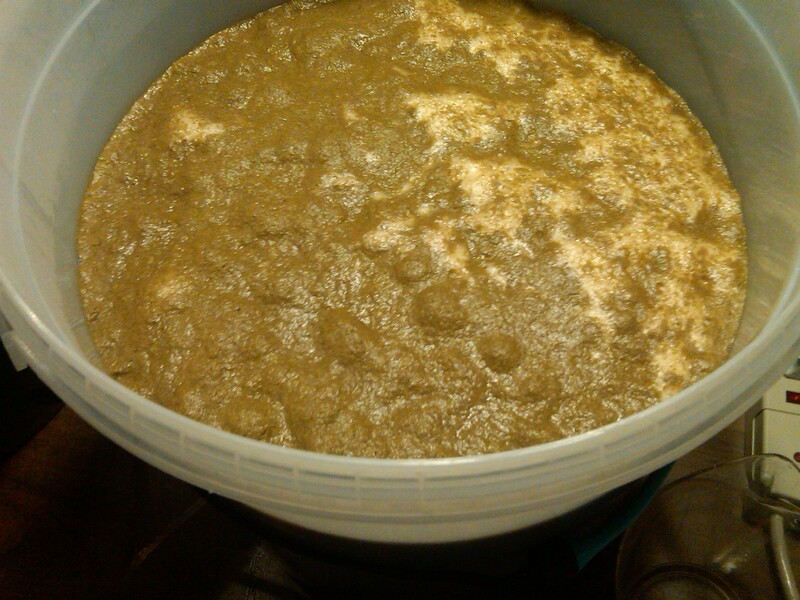 If you are fermenting at a lower temperature it will take longer to get action like this. 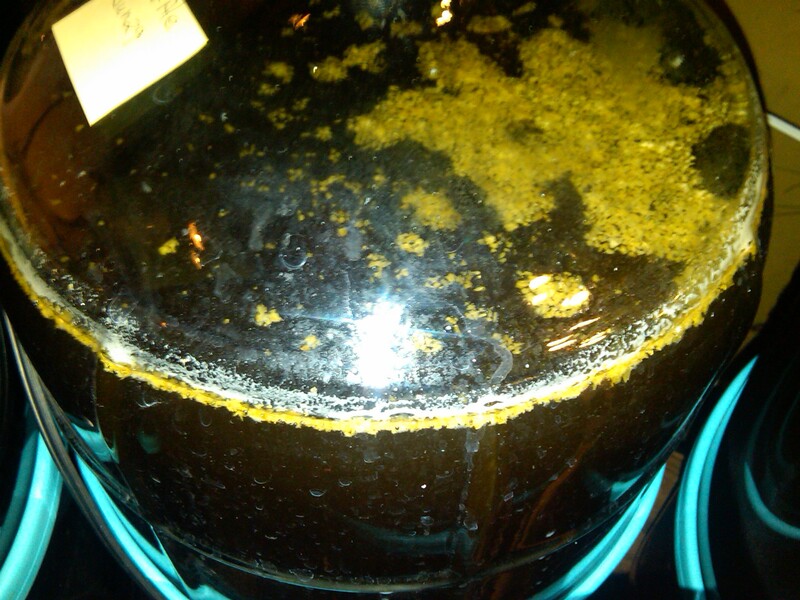 If you are at 19 or lower your beer may enter a second fermentation stage at day 30, causing your beer to continue fermenting for another month. A Cerveza has no hops, hence the difference in the surface activity. As fermentaion continues the yeast is fermenting the natural sugars in the malt producing alcohol and CO2, hence the bubbles coming trough the air lock. As this continues the SG will continue to drop. 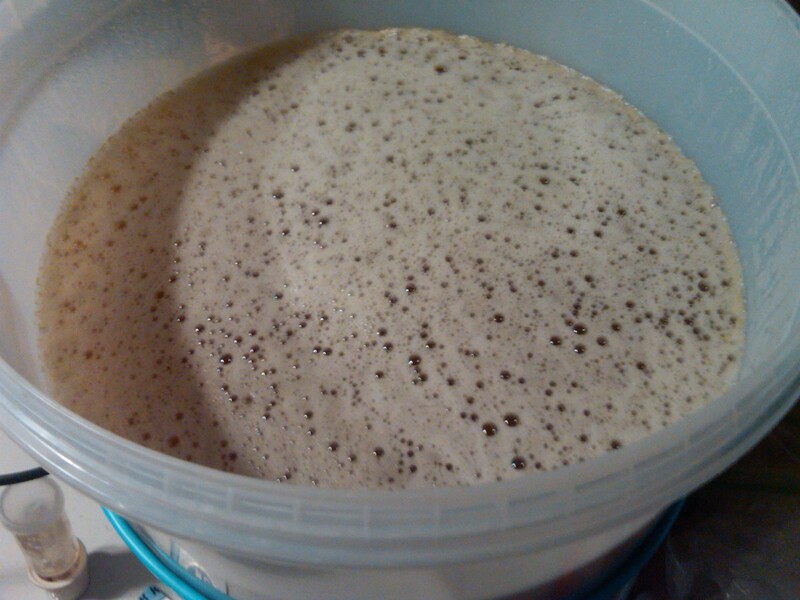 You will notice that the intense foam created on day one is lessening to hundreds of small bubbles on the surface. 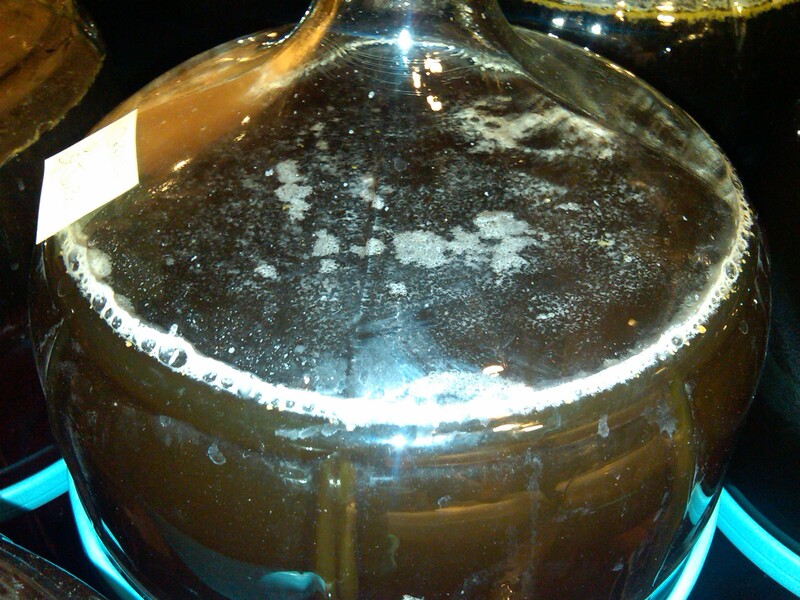 At this point using your sanitized syphon, rack the beer into a sanitized carboy leaving the sediment behind. You will notice that I started with exactly 23 litres. When I rack the beer into the carboy it will not be full. I do not top up the carboy with water thus I avoid getting beer into the air lock. Good surface activity - small bubbles over the entire surface indicating good progress. The instructions read that the Final SG should be 1.013 - 1.019. We are now below this however there is still a lot of surface activity. To get the maximum out of the fermentation I allowed this to continue fermenting until there was no surface activity, this took another 7 days. We then moved onto clearing and bottling. The instructions read that the Final SG should be 1.009 - 1.016. We are in that range however the surface activity is indicating that a lot more fermentation is happening. When you see bubbles like this just wait. It took another 10 days before there was no surface activity. We then moved onto clearing and bottling. The instructions read that the Final SG should be 1.009 - 1.016. We are in that range however there is still surface activity. We waited another 8 days before the activity ended and then moved onto clearing and bottling. You have to treat each kit individually; even the same kit reacts at its own rate. This Canadian Lager, even though it is at the same temperature as the above example, it is moving ahead slower. It has more obvious air bubble clusters so it took well over another week before finishing. You will notice that the instructions say that the Final SG should be between 1.009-1.0116 don't move on until the surface has no activity. The Final Gravity for an Amber Ale is 1.011 - 1.018 so we are actually below that, however there is a lot of bubble activity observed around the edge plus the hops are still floating with a lot of bubbles arising in the middle. Until this has completely subsided we just wait. It took another 10 days before all surface activity subsided. The end of the story is this, even though you have reached the SG wait until all surface activity has stopped. You will produce superior beer compared to someone who shut down the process only according to SG. Last minute tips: If you have continued reading to this point you are really a beer enthusiast. 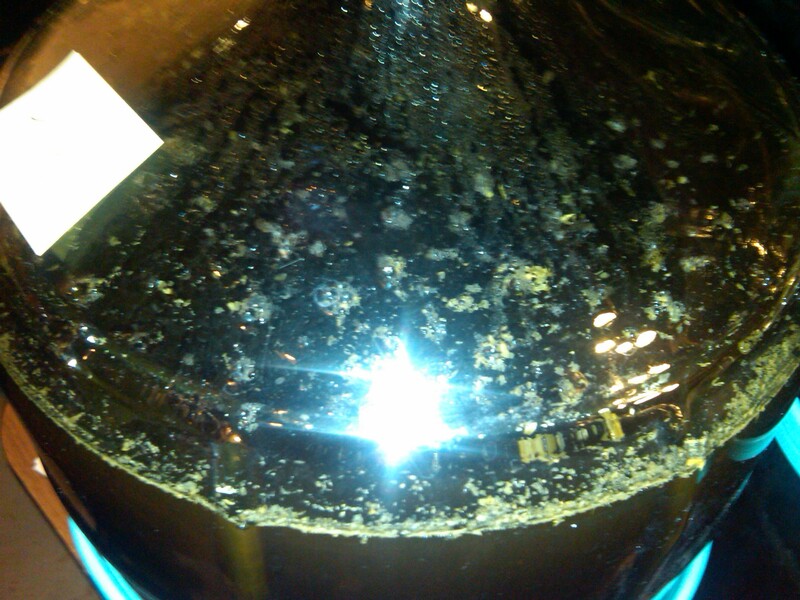 Here is a secret: if you get a surface scum on your beer after 2 to 3 weeks, this is simply a top fermenting yeast byproduct -rock your carboy back and forth and the scum will dissipate. Repeat the next day if necessary. To produce clear beer, once your have achieved the Final Gravity and have no surface activity then move to the last stage - 3 days before I bottle I rack my beer into a sanitized carboy leaving all sediment behind. 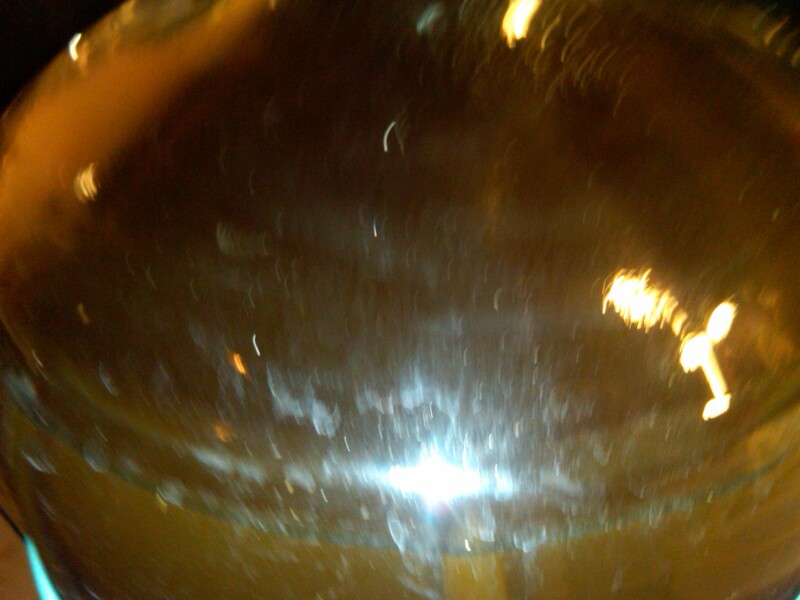 Even after 3 days there is a new collection of sediment on the bottom of the new carboy. When you are ready to bottle rack the beer into a sanitized primary and then stir in the dissolved sugar -make sure that your dextrose is completely dissolved in a cup of hot water before adding it to the primary. During the entire bottling process frequently stir the beer making sure the sugar has completely dissolved. It will take a minimum of 2 weeks for the second fermentation to start to produce sufficient CO2 to have a nice beer. 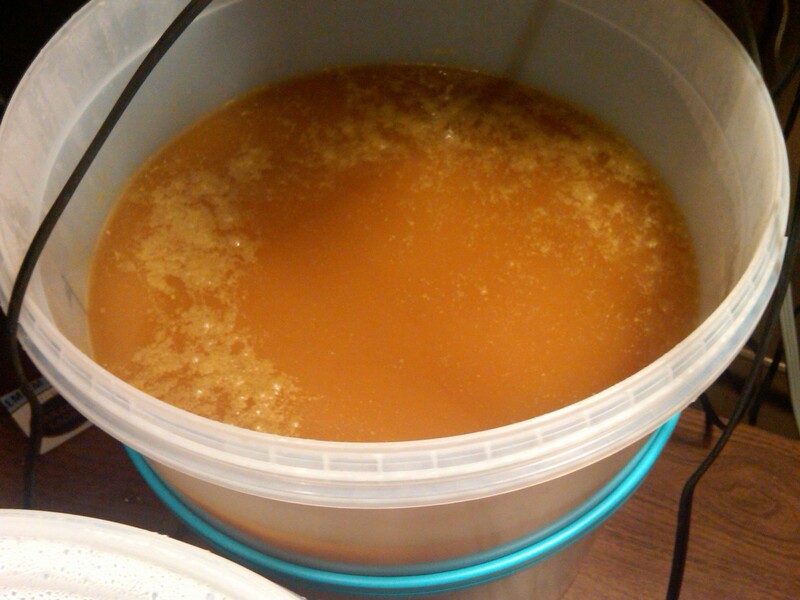 The second fermentation happened when you introduced new sugar to the live yeast still in the beer. In the bottle the live yeast fermentates the newly introduced sugar and produces alcohol and CO2. In this situation the CO2 is captured in the bottle and will give you the natural desired carbonation. The downside is the natural yeast bed caused in the bottle. When pouring from the bottle do a continuous pour into a glass and leave the last 1/2 inch of sediment behind. Our Barons beer improves with age; I like my beer to be at least 6 months old before serving. Yes I am a glass bottle person since I like to age my beer. Had an amazing stout last week that Paul had aged for 4 years! Brand new to beermaking. Just in the process of making my first batch (from you guys of course!). Question - My basement is a constant 16C (a bit cool for primary fermentation). Therefore I'm doing doing primary upstairs where I can keep a constant 21C. But once I move to secondary - will 16C work? 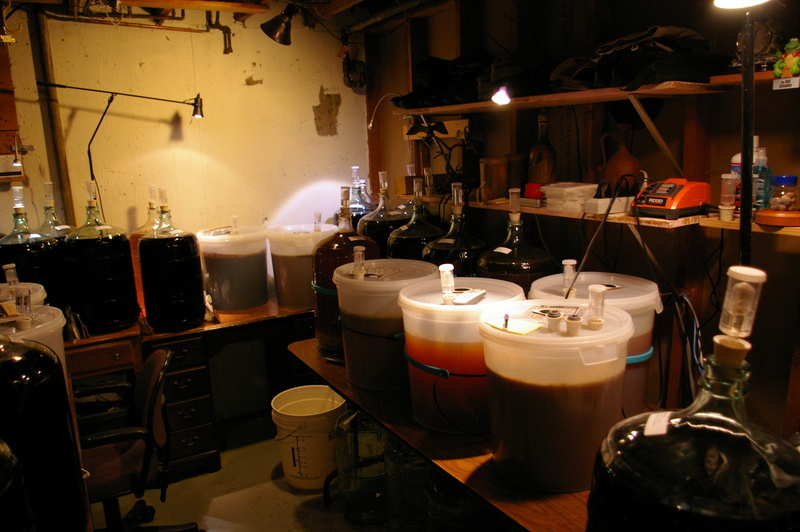 This summer I am actually cool fermenting all my beers in my basement. Some of the liquid yeasts that I am using like it to be 9-13 C. The cooler the temperature the longer it will take to complete the fermenting process so yes 16 C will work. We started our first batch of beer from a kit. Amber Ale. The temp with the heat belt on sat around 24.5 degrees, reaching 25 at one point. After 1.5 to 2 days, surface activity had stopped, and the SG was 1.018. We thought it was a bit early, but we moved the beer to the secondary at 2.5 days. Was this the right move? 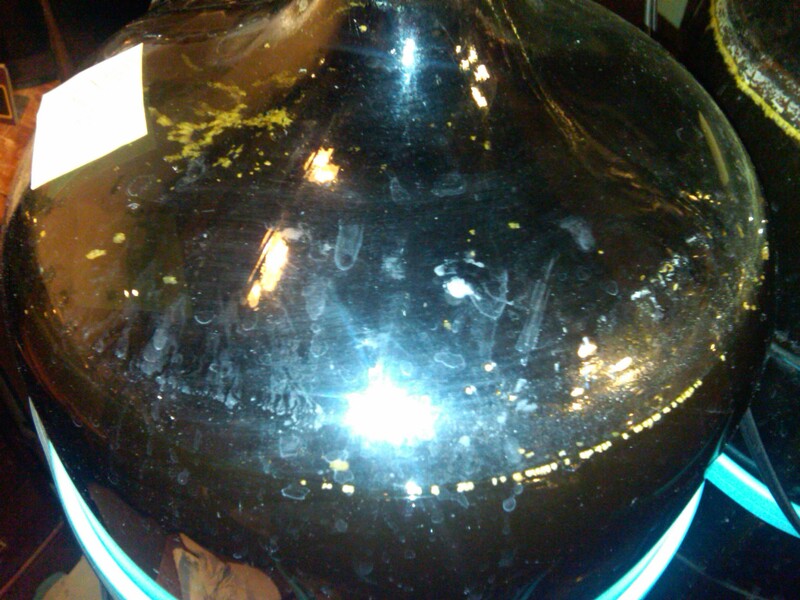 in this article you said not to use heat belts on a mexican or north american carboy. why do you say not to do this? We only use Italian carboys, their has been a problem where the Mexican carboys were exploding, the bottoms falling out, the tops coming off. The Mexican companies changed their country of origin to North America but the same problem existed, because of this the heat belt companies now say not to use heat belts on a glass carboy. Once bottled is it important to maintain the 23C while the beer "condtions" or is the temperature requirement mainly for the primary and secondary fermentations? Yes, Dave it is important to keep the bottles nice and toasty warm while bottle conditioning. If your bottles are too cool, your beer will not carbonate. Of course, no direct sunlight and constant warm temp is ideal. 23 C is good. been making the same beer for years ( Barons America lite : the last 2 batches have not cleared..i cannot figure why. I am using "Star San" as the sanitizer for my eqmt. It says NOT to rinse so I have not been . Maybe that is the problem??? Even with "no rinse" cleaners ( such as our Aseptox ) Paul always recommends that you rinse. Over time, a film will build up. This COULD be the problem, or your beer could just need more time. If you have an extra fridge that the carboy will fit into, you can "chill shock" it into clearing. If not, patience. If all else fails, you could add gelatin finings, but only as a last resort. How many litres does one beer kit usually make? Im new to this . At The Home Vintner, one beer kit will produce 23 L. This equates to 5 1/2 dozen beer at the 341 ml size bottles that most breweries use to bottle. For the primary the kit explains to wait until your wort is between 18-24 degrees prior to adding the yeast. It sat at 26 for a few hours until it dropped to 24, I sprinkled the yeast on top of the wort at this time, checked it a few hours later and saw it bumped up to 25 degrees. I checked it again roughly 20 hours later and my wort is now sitting at 19 degrees (in my 19 degree mechanical room). Do you see any issues with my primary fermentating process? I know you say to ferment at 23, but I am reading a lot of stuff where people mention that they ferment at 16-18 degrees for pale ales, which is what I purchased from you guys. I could move the primary upstairs to a warmer environment if you thought it was necessary. A consistent temperature is better. You can always purchase a heat belt to keep it at a consistent 24 degrees ( approx ). If your temp is too cold, you can kill off the yeast. You don't want to ferment at a very cold temp unless you are using a Liquid yeast, specific to brewing at colder temps ( e.g., cold lagering ). 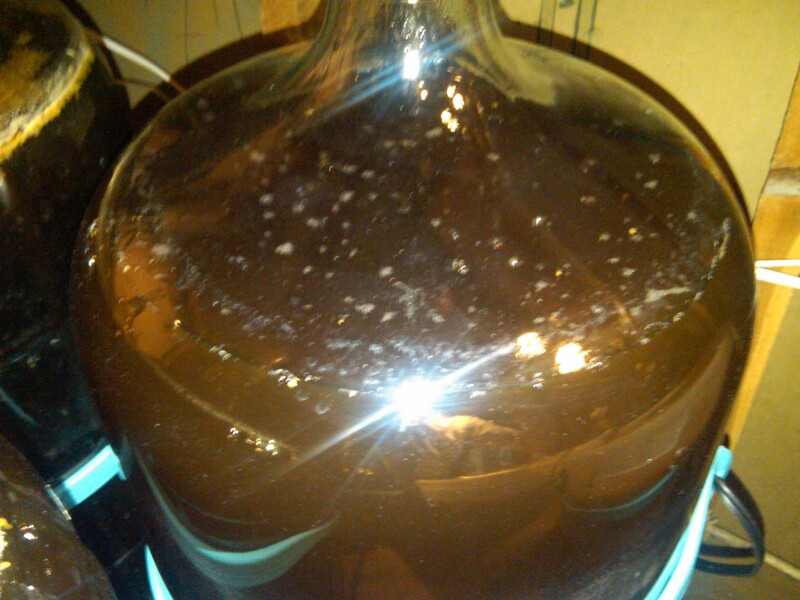 16 to 18 degrees does seem a little cool -- it should still ferment at this temp, but will take longer. I think to be safe, I would move it upstairs, or purchase a healt belt if you prefer to brew downstairs.